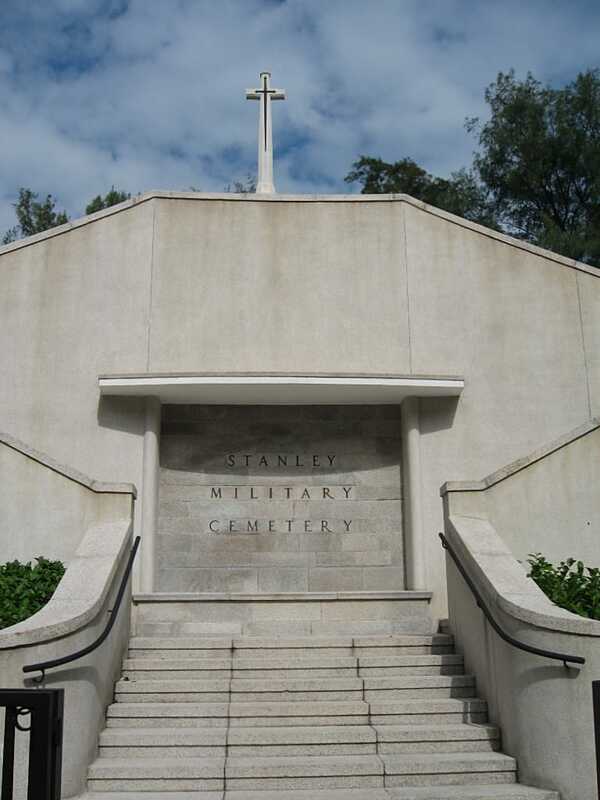 Stanley Military Cemetery is just beyond the town of Stanley in the southern part of Hong Kong island on the Tai Tam Peninsula. 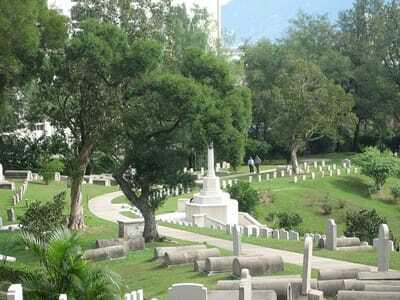 From Stanley take the Wong Ma Kok Road. The cemetery is adjacent St Stephen's College and is close to St Stephen's beach. It is reached from Victoria by car along a winding, hilly road which at first overlooks the harbour and mainland. 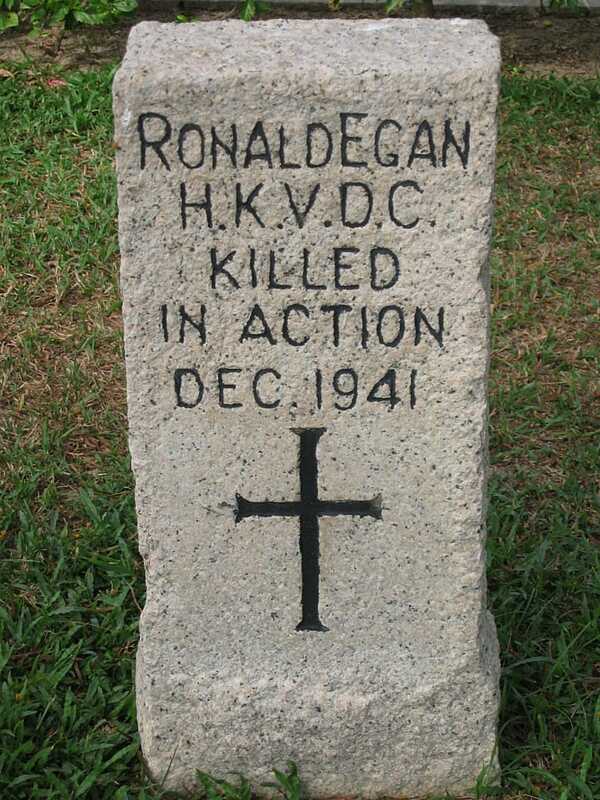 After climbing to the pass called Wong Nei Cheng Gap the road descends to the sea at Repulse Bay and then continues along the rocky hillside to Stanley. The cemetery is located Wong Ma Kok Road, Stanley, Hong Kong Island. Take bus routes Nos. 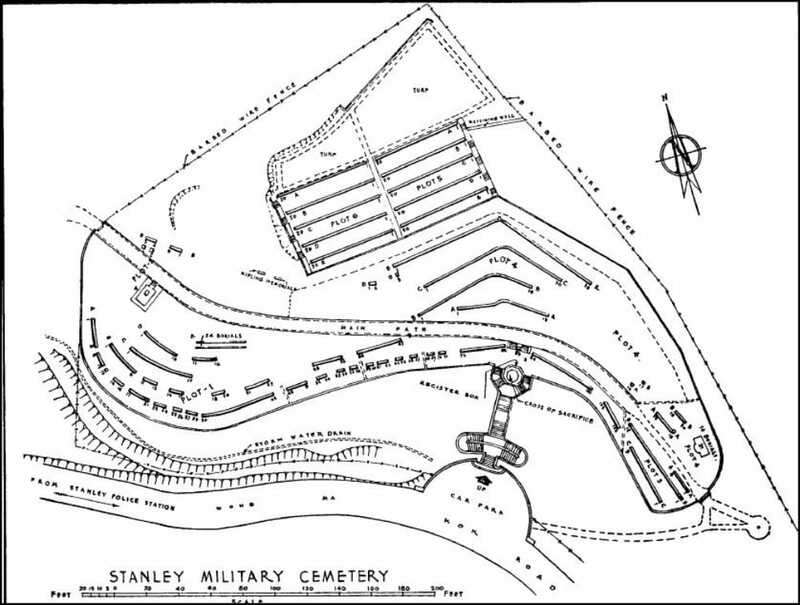 6, 6X or 260 to Stanley prison from Exchange Square bus terminus, adjacent to Exit B1 of mass transit railway Hong Kong station and alight at Stanley village (Stanley market) bus stop on Stanley Village Road. 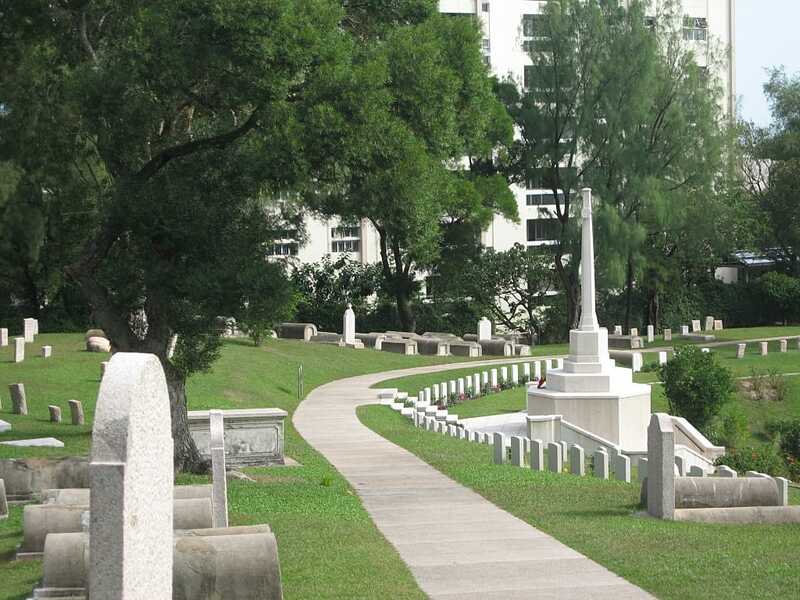 Follow the direction signs and walk towards south along Wong Ma Kok Road for approximately 800 metres. To travel to Stanley Military Cemetery from Sai Wan Cemetery walk upwards along Cape Collinson Road for approximately 600 metres to Shek O Road then turn right onto Tai Tam Road. Take bus route No. 14 to Stanley Fort and alight at St Stephens’s College Preparatory School bus stop on Wong Ma Kok Road then walk back in the opposite direction for approximately 100 metres. The cemetery is constructed on a hill with the only means of access being via four flights of steps, rising approximately 10 metres above the road level. The cemetery is open daily: 08:00 - 17:00. 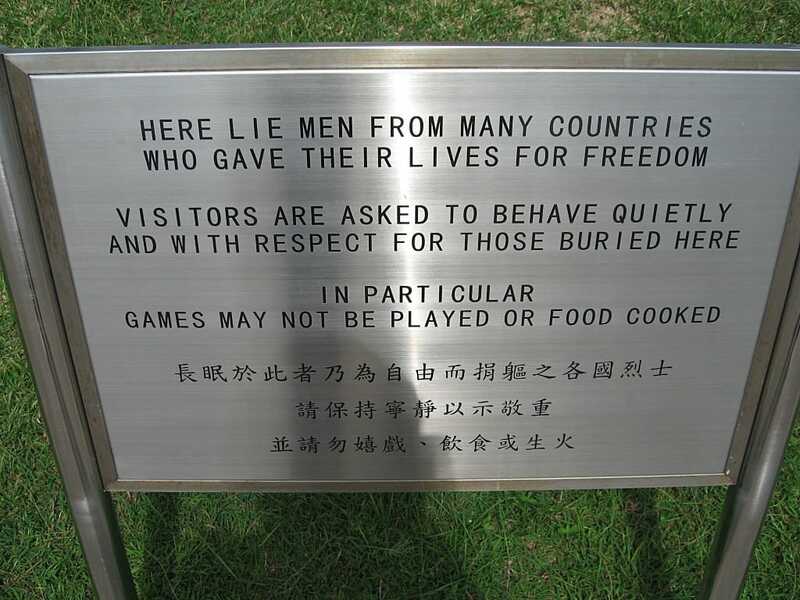 The location or design of this site, makes wheelchair access impossible..
Hong Kong fell to the Japanese on Christmas Day 1941 following a brief but intense period of fighting. 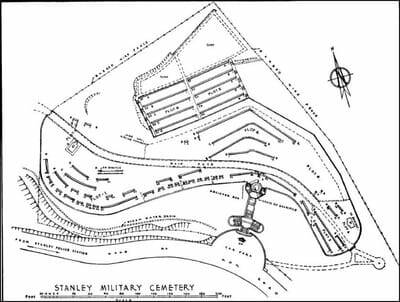 During the Japanese occupation, Stanley jail and village were used as a prisoner of war and civilian internment camp and the cemetery, which had not been used for more than 70 years, was reopened for burials from the camp. After the war, the cemetery was extended on its northern side when graves were brought in from civilian burial grounds and isolated sites in the surrounding country. 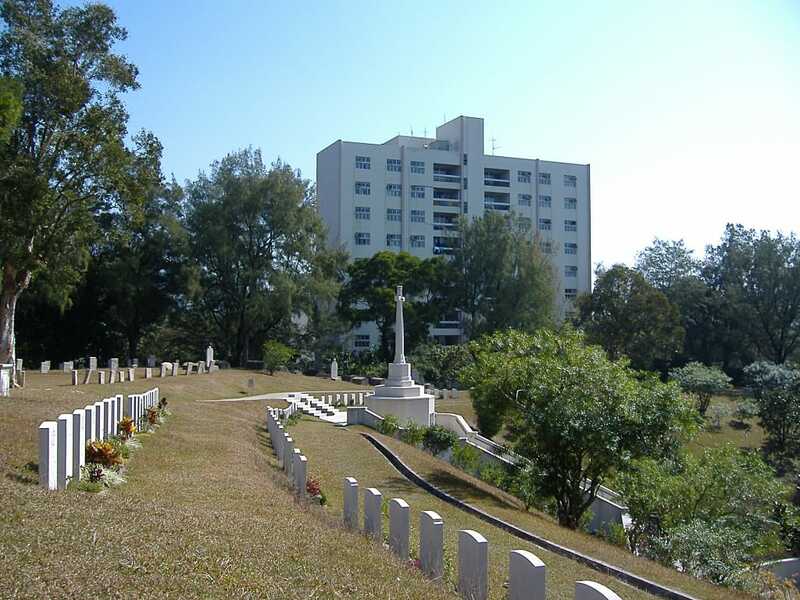 Although the cemetery as a whole is laid out and maintained as a military cemetery, in the older part, service graves and the graves of civilian internees who died during the Japanese occupation are intermingled. 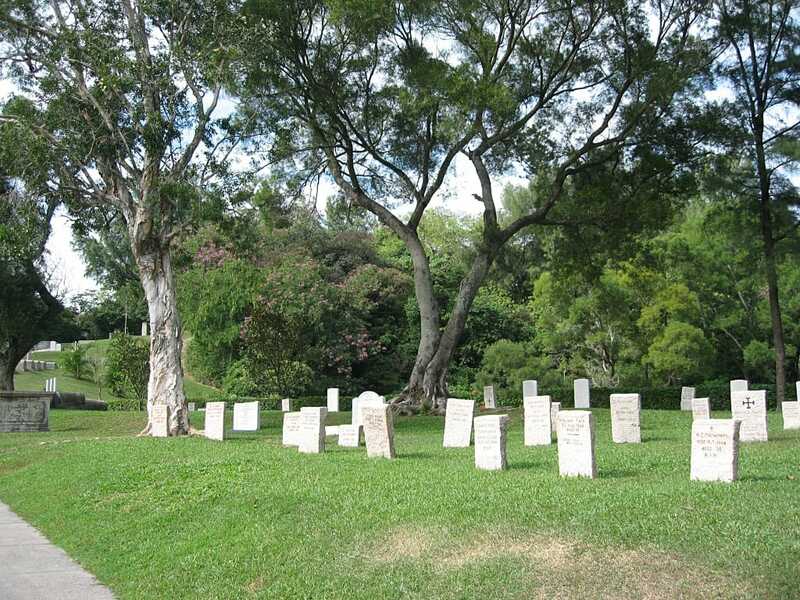 A number of the graves in this part of the cemetery are still marked by the original headstones erected by the prisoners of war, who collected the granite from the 19th century fortifications and carved the inscriptions themselves. 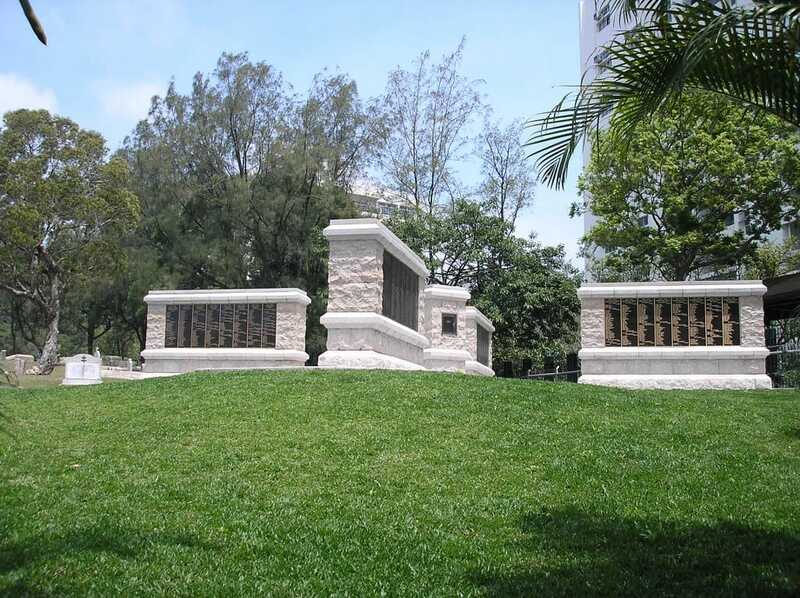 Nearly all casualties of the local defence forces, chiefly the Hong Kong Volunteer Defence Force and the British Army Aid Group, are buried in this cemetery. The British Army Aid Group was a military establishment which came into being early in 1942 to encourage and facilitate escapes, to assist escapees and to get information and medical supplies into the camps. 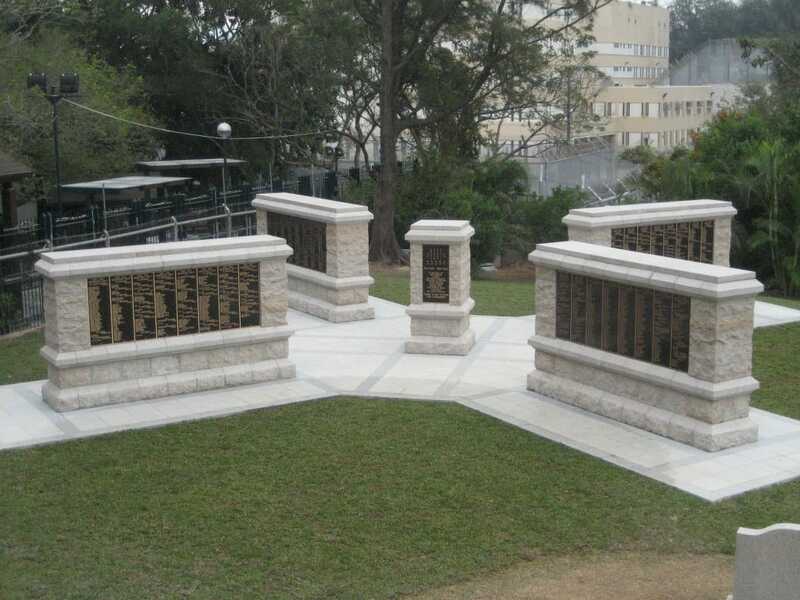 Attached to the establishment was a large staff of civilian employees operating in an extensive area of enemy held territory and the group gradually developed into an organisation for the collection of intelligence of military value and later into an escape and evasion organisation for the American Air Force. 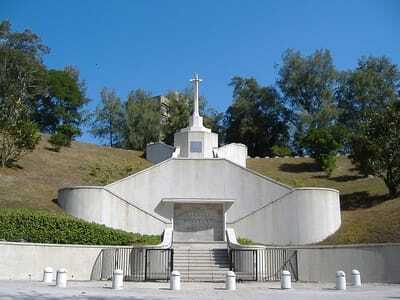 There are now 598 Commonwealth servicemen of the Second World War buried or commemorated in this cemetery. 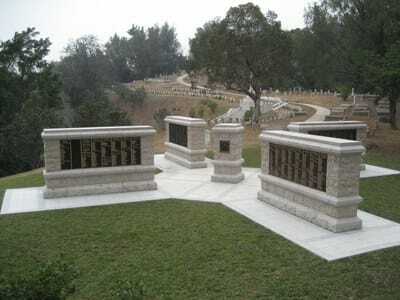 175 of the burials are unidentified, but a number of special memorials commemorate casualties known to be buried among them. 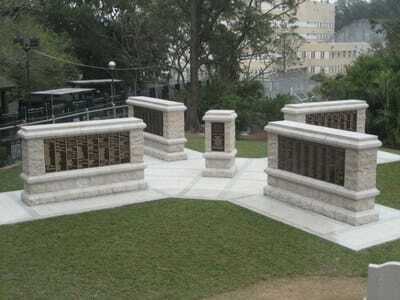 The names of the 96 civilian internees buried in this cemetery are recorded in volume 7 of the Civilian War Dead Roll of Honour.